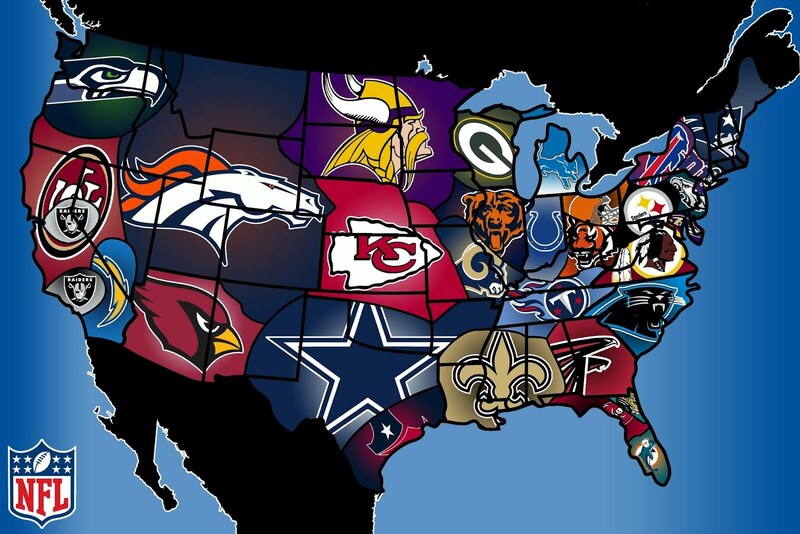 NFL: Week 5 Picks | NFL News, as it happens, when it happens. Your one stop shop. Call me an idiot, but yes, I picked Ryan Mallett/Brian Hoyer laying points last night. But, in my defense, I was picking against a 40-year-old Matt Hasselbeck who was in the ER at 2 a.m. the night before. And by the way, anybody who wants to start using Hasselbeck’s 2-0 record as an indictment on Andrew Luck, just stop it. Hasselbeck beat the Jaguars in overtime, and almost went to overtime against the Texans who didn’t really know what they were doing on offense. Yeah, he played as well as the Colts could’ve hoped for, but with him at the helm, they have a 0% chance of beating the Patriots next week. At least with Luck they’ll have about a 0.5% chance, but more on that later. Another takeaway from last night, are we sure the Texans aren’t one of the worst teams in the NFL? They’re 1-4, their one win was against the Buccaneers, and the only games they were somewhat competitive in were seven-point losses to the Colts and Panthers. Remember what Bill O’Brien said to open Hard Knocks? He said he was sick and tired of the disrespect everyone showed their quarterbacks. He said both of those kids could play, and one of them was going to get the chance to do it. Both of them have gotten a few chances through five games, and neither has looked any good at all. The best either of them has looked is in a relief role. Maybe they should just start one guy and no matter how well he’s playing put the other guy in after the first quarter. You hear that Bill O’Brien? I’m coming for your job. On to this week’s picks. Home teams are in all caps. If the Chiefs don’t look good in this game I’m just going to go ahead and call them a bad team. They’re 1-3, and while I know their three losses are “good” losses, they haven’t looked any good. Apparently Andy Reid’s offense doesn’t involve throwing a pass further than ten yards. But, the Bears are not a good team. Even with Cutler. I think the Chiefs have sort of a breakout game and win this one comfortably. Everybody loves the Bengals right now. Here is where I advise caution. Remember last year after four weeks when everybody was jumping on the Bengals and throwing dirt on the Patriots because they had just gotten embarrassed in a Monday night game? Then the Patriots went and beat them 43-17 in Week 5. I’m not saying that’s going to happen here, I do think the Bengals turned some sort of corner when they beat Broncos at the end of last season, but I love the Seahawks getting points coming off a week where everybody is doubting them and talking about them needing an apparently blown call to beat an 0-4 Lions team. The Falcons are due for a let down. I think this team is good, but they’re not as good as they looked last week, and the Redskins are a better team than they were supposed to be. I’ll gladly take this many points against an overconfident team that’s played a little bit above their heads to this point. If you watch more than five minutes of this game and you’re not a fan of either team then you have a problem. I’ll take the home team with (I think) the better quarterback. This could be a loser-goes-home game. Drew Brees made a nice throw on the overtime touchdown pass and looked good on what should’ve been the game-winning drive last week, but everybody in the world besides Jason Garrett knows he can’t throw deep anymore. I expect the Eagles to make him throw deep, and a more confident Sam Bradford (who played ok last week) to make some plays against a Saints defense that gave up some deep throws to Brandon Weeden last week. The Browns are a tough out, but the Ravens need to win this game, and can you really expect Cleveland to go two weeks in a row without being embarrassing? The Ravens are coming off of a Thursday night game so they’ve had extra time to prepare, they have the far superior quarterback, and like I said, they need to win this game. I’ll swallow the points here. This is way too many points. The Rams have a chance in this game to show that they are for real in this one, and they’re built to not only cover a nine point spread against the Packers but beat the Packers. They have the best defensive line in the league, so they can not only take away the running game but also get pressure on Aaron Rodgers. Todd Gurley looks really good, and this team can run the ball and keep Rodgers off the field. They also don’t turn the ball over and won’t give away any free points. This is one of the best bets of the week. This is probably the best bet of the week. The Bills are a real team, and they’re coming off a home loss and need to win. While they’re beat up offensively, the Titans don’t have a great defense. This line is low because a lot of people have become enamored with Mariota and the Titans are coming off of a bye, but now that there’s three games of film on Mariota, and with one of the best defensive mind’s in the league putting together a gameplan this week, the promising rookie could get a harsh dose of reality in this one. The Lions are not a good team. Their offensive line is a mess right now. Granted, they’ve had to play against some good defenses lately in Denver and Seattle, but there are no running lanes and Stafford has not time to do anything. I don’t expect anything to change against the Cardinals, who are another top defense. The Lions are coming off a short week, and the Cardinals will be motivated coming off of a disappointing loss. I think they win this one easily. New England coming off of a bye in the continuation of their “F-U-NFL” Tour against Brandon Weeden and a bad Cowboys defense. They’ll cover this easily. Don’t overthink it. By the way, the Patriots play the Colts next week. I don’t care what the spread is on that game. The Patriots could be favored by 30 and I’d still pick them. The record for most points scored in one game is 72 by the Redskins in 1966. I think the Patriots could break that record. Seriously, what is the biggest reason Tom Brady is as good as he is? There’s a lot of things that make him good, from his pinpoint accuracy to his ability to pick apart defenses at the line of scrimmage even to the system he plays in. But above all of that is the chip on his shoulder, and playing against the team that almost cost him four games and his entire legacy along with a massive headache for seven months will make that chip the size of a boulder. So there you go, I’m already giving you two bets, so you’re welcome. I love the Raiders in an upset this week. They have the better quarterback in 2015, and they’ll be motivated coming off a bad loss to possibly the worst team in the league. I don’t buy this Broncos team, and as good as their defense is, a good defense can be beaten by a good coach and quarterback, and I think the Raiders have both. Plus the Broncos have made all of their games a lot closer than they should’ve. I think this is going to be a close game and I’ll take the 4.5 points for the home team. I know Odell Beckham is good, but can we please stop acting like every catch he makes is the greatest thing that’s ever happened in a football game? Last week Beckham caught a pass out of bounds with one hand. It was a nice looking catch, but really unnecessary as he had no chance of landing in bounds. This was an actual tweet from the Sportscenter Twitter account after that catch, “Odell Beckham just had probably one of the greatest out-of-bounds catches in NFL history. WOW!” Thanks Sportscenter, why don’t we go through all the great out-of-bounds catches in the history of football and compare them. That would be more meaningless than trying to predict whether LeBron or Jordan would win a one-on-one game. Seriously, who cares? And honestly, he could’ve caught the pass with two hands if he wanted to. It would’ve been smarter, he’s less likely to drop it. Most NFL receivers can catch balls with one hand, this isn’t some new talent he has. For more complaining about Odell Beckham Jr., follow my buddy @Grantenacity on Twitter. I’m not picking Michael Vick with only three points on the road. He looked horrible and unconfident last week, and the Steelers have to be a little shaken after finding a way to blow the Ravens game last week. Plus the Chargers really need a win where they look good. For college football fans or just degenerate gamblers who will bet on anything, I’m in a weekly college football pick ’em. Here’s my picks for this week: Texas (+16.5), Ohio State (-32.5), Michigan (-8), California (+7), Missouri (+5), Georgia, UConn, and Nebraska straight up.